This topic was published by Jarret Buse and viewed 1467 times since " November 09, 2015 @ 19:03UTC ". The last page revision was " November 09, 2015 @ 19:32EDT ". Most people are using the current version of SuperTux (0.3.4). There is a newer version available, which is listed as "unstable". I have not found any issues so far with it, but the additions to it are nice. A new TileSection called "Halloween" exists to add darker ground tiles. Keep in mind that the Level Editor does not need to be upgraded, the new "BadGuys" will appear in the editor as well as a block for "Climb", etc. Now, you can refresh your package list information. Before continuing farther, you may want to make a backup of the folder "/usr/share/games/supertux2" folder. Once done, open Synaptic and remove "supertux" and if needed, "supertux-git". 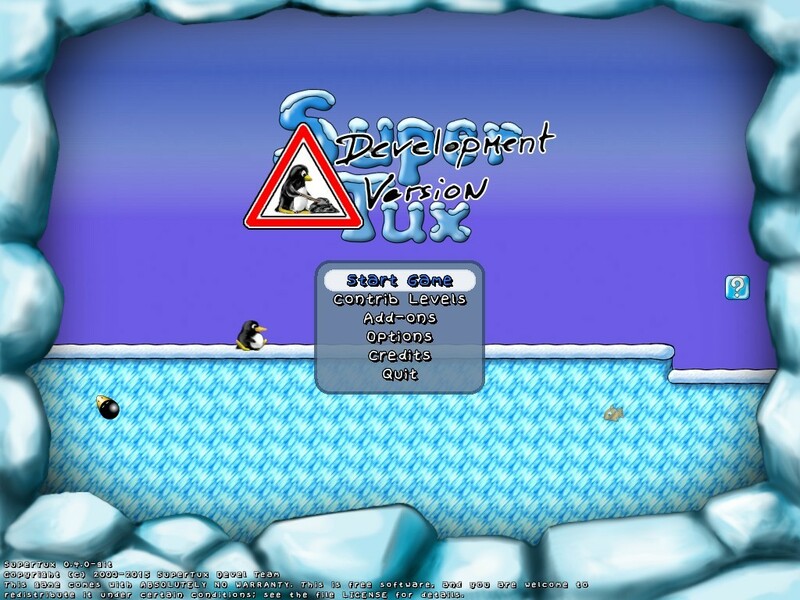 Do not remove the "supertux-editor". After the older version of SuperTux has been removed, select the "Origin" button in the left-lower side of Synaptic. In the upper-left side, select "LP-PPA-supertux-dev-daily/now". In the right-upper window, right-click "supertux-git" and select "Mark for Installation". Apply the changes to perform the update. The version shown at this time in Synaptic is "0.3.5~git20150728+4~ubuntu14.04.1". Once installed and started, the version is "0.4.0". The SuperTux title screen is shown in Figure 1. If any existing levels or files have been deleted or removed, you can replace them from the backup you made of the original files. 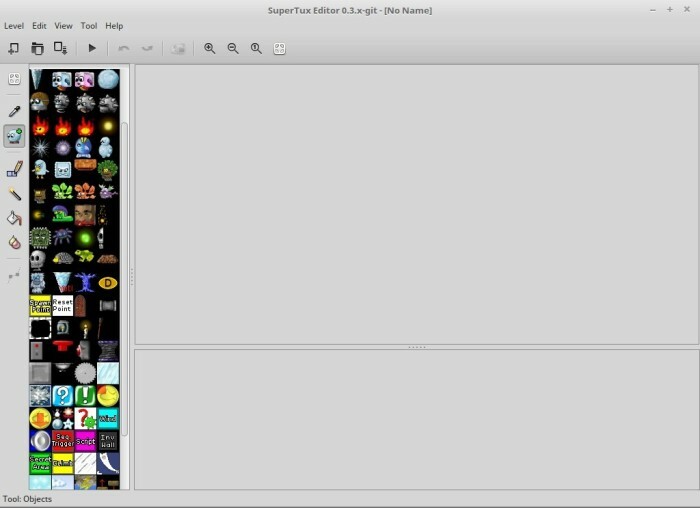 The Level Editor does not need to be updated since it collects the information from the "supertux" folder. After opening the Level Editor, all the new objects will appear in the Objects window as shown in Figure 2. The "Air" power up allows Tux to fall slowly. With the Air power up, he wears a multi-colored hat. To fall slowly, hold down the "jump" key as he falls"
The "Earth" power up allows Tux to have a miner's helmet. The helmet has a light on it for Tux to see where he is going. Maybe, before the final release is out, there may be more updates to be seen.